Welcome to a single game installment of the Thursday Night Football bets and DFS picks for Jaconsville at Tennessee. As with all DFS contests, if you are investing the time to come up with a strategy and an approach you should be entering it into the right contests and yes, there are single entry contests for the Showdown slates with good pay lines that you can focus in. Give yourself a chance to remain profitable on the slates when you get something right and not have to sweat out someone with 150 $10 lineups who mixed and matched a bunch of combinations and ended up splitting the prize pool. Any profit is good profit and that’s especially true on the showdown lottery tickets. Be honest with yourself. It’s gambling. But have fun with it. The Jaguars have had a major lost season but still have a formidable defense as they showed last week against the Colts with a home shutout. They’ve been vulnerable at times on the ground and Tennessee likes to run it a bit so both Titans backs should be in a good spot here tonight. 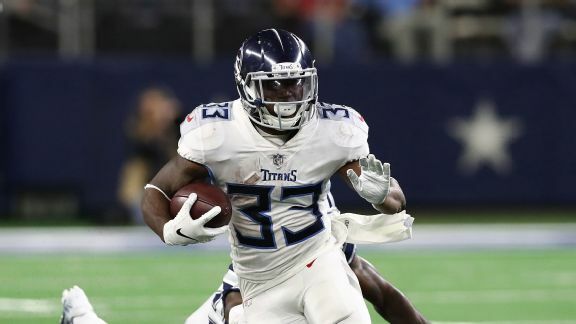 The Titans defense has been a major jeckyl and hyde but overall has played well at home. They’re better against the pass like the Jaguars but there are some chances for the Jags to get a big play here or there tonight in my mind. Both teams Kickers (Succop & Lambo) should be popular plays tonight and are even considerable in the Captain spot with Succop being my slight lean between the two if you only go one. I like the Titans defense here, how can you not at home against Cody Kessler, but Mariota is vulnerable to some bad games as well so if you do multiple lineups (you should) then get one Jags D play in there. How I think the game plays out … The slight shock tonight wouldn’t be the Titans winning, but it would be the Titans winning easily 36-6 and that’s what I think we get tonight with the Titans D even getting a Safety. I dont like any of the odds on most of these.